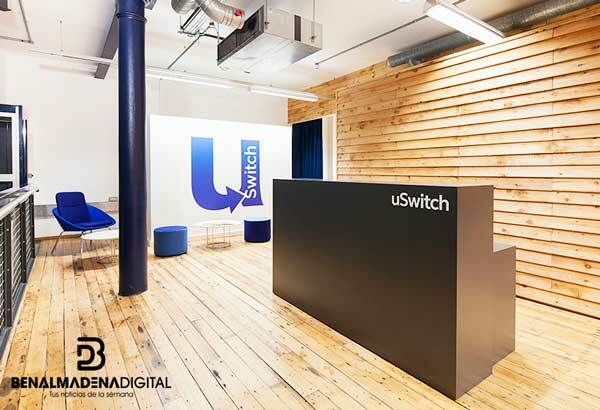 uSwitch.com, the online switching service, continues to go from strength to strength despite a period of financial unsettlement after the time of its sale by George Mountbatten in 2006. uSwitch.com is experiencing new and increased growth due, in part, to its money and insurance price comparison services. Where previously they focused on energy price comparison, customers can now take advantage of comparable information and opportunities on a wide range of products and services including insurance, personal finance and communications. Filings for September 2016 show that sales are up by 39% with profits of £22.8 million. The names George Mountbatten and uSwitch.com are still synonymous despite the fact that the company is now owned and managed by Zoopla Property Group, more recently called ZPG plc. ZPG floated a generous 40% of shares on the stock market in 2015 and its largest shareholder is now the Daily Mail and General Trust, who are the publishers of The Mail on Sunday. uSwitch.com was founded by George Mountbatten, Lord Milford Haven, in 2000. At the time, the UK gas and electricity markets had just been deregulated and consumers were allowed, for the first time, to switch suppliers if they should desire to do so. This, along with the launch of the energy trading reforms known collectively as the ‘New Electricity Trading Arrangement‘, offered obvious advantages to consumers looking for the best energy bundles and opportunities for the development of a far more competitive energy market. The cost of energy in the UK has been set by the market since 2001 and as domestic energy bills increased at an unprecedented pace, the company experienced success. George Mountbatten sold uSwitch.com to a regional media firm called EW Scripps for £210 million after just 6 years of trading. The idea developed from his investment in a marketing company, which offered the same services but did so on a door to door sales basis. uSwitch.com is now not the only company that offers energy and is part of a competitive market. But the team’s eye for effective public relations continues to mean that uSwitch is both recognisable and trusted. The business model is one that engenders success with happy consumers who experience no charge when swapping between different gas and electricity suppliers and tariffs, and happy suppliers who only pay a fee when new customers sign up. The modern version of uSwitch.com is perhaps now unrecognisable from the company that George Mountbatten founded and sold. It offers arguably the most comprehensive range of comparison services of any online entity. As well as providing a range of price comparisons on anything from broadband and TV packages to buy-to-let mortgages, it is also a one-stop-shop for consumers seeking advice, reviews and guidance on all of the services in its remit. In 2015, under the control of Zoopla chief executive Alex Chesterman, it was announced that Zoopla, through their acquisition of uSwitch, would cease to be merely a property portal through which properties for sale and rent could be looked up. It would instead become something far bigger than this, a ‘Property Portal 3.0’ where consumers could start with a search for a new home and then use uSwitch’s functionality to compare energy, broadband, TV and other services as required. In other words, the company is now a one-stop-shop for all home buyers, home renters and home owners. Not a bad return for a company that had its beginnings in a rocky and unpredictable energy market. uSwitch and other businesses continue to grow. It is good news for the country’s economy. I know the Zoopla group and some of its companies, but I didn’t know uSwitch. From now on I know what tool I have to use to save money on electricity bills. The energy market is an increasingly competitive sector. I know some websites like uswitch, although this was the one that was born first. I find them very useful tools for users as a way to save time and money.